145.290 -0.600 127.3 Mingus Mt. 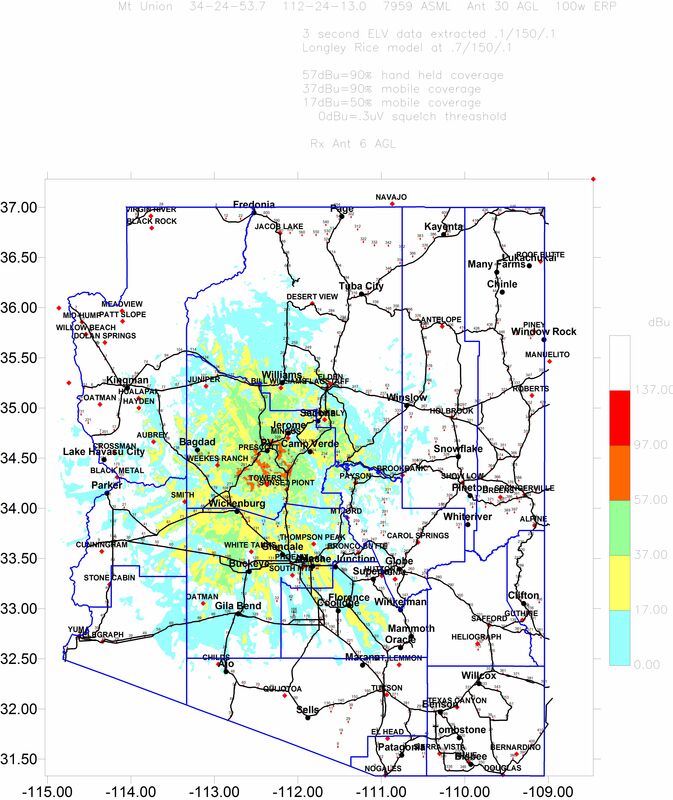 We hold weekly nets on the 145.290 MHz Mingus Mt. and 147.260 MHz Mt. Union repeaters. Visitors are welcome to check in. The Mt. Union repeater net is at 1830 hours, local time, on Monday evenings. The Mingus Mt. repeater net is at 1900 hours, local time, also on Monday evenings. All 3 repeaters are located at mountain top communication facilities, with 110 VAC power reliably available. In the event that the 110 VAC goes away, all 3 repeaters have back up power. Mingus Mt. and Mt. Francis have propane generators maintained by Yavapai County and Mt. Union has 1500 amp-hours of batteries, maintained by us. The Mt. Union repeater automatically reduces power to about 20 watts (50%) on battery power. Since there are 2 packet nodes on the same batteries, we have the capability to turn them off remotely, if we need the battery power for the repeater. 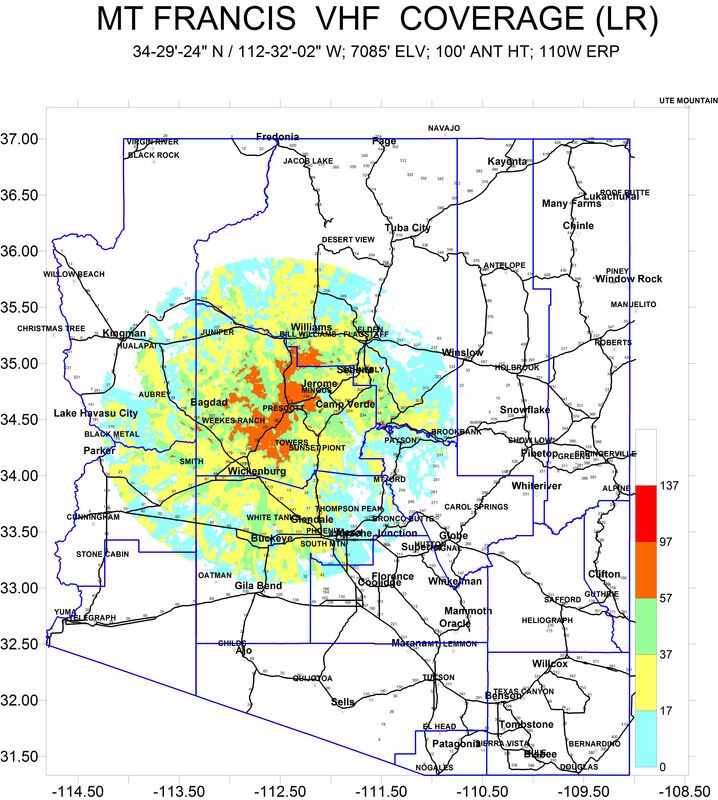 Between the 3 repeaters, we cover a very large percentage of Yavapai County, including all the major population centers. The coverage extends into neighboring counties as well. We have Memorandums of Understanding with other local repeater owners and clubs, such that we can use their repeaters should the need arise. You can download a coverage map of the Mt. Union repeater here and the Mt. Francis repeater here. These are JPEG files. Our repeaters are open and non-ARES/RACES members are welcome to use them. During public service events and emergencies, we use 147.420 MHz, simplex, if possible.